o Get ONE (1) Nutrilite Double X 6-Day Foil Pack for FREE when you sponsor a new ABO and activate with P1,500 worth of Nutrilite products. Consumer electronics giant LG Electronics teamed up with the world’s most exciting mixed martial arts (MMA) organization, ONE Championship to bring about the intense “ONE Championship: Spirit of Champions” match to the SM Mall of Asia Arena. Headlining the much-awaited Heavyweight World Champion Division were top-ranking heavyweight champions, Brandon “The Truth” Vera versus Paul “Typhoon” Cheng. Vera conquered the octagon and was thus crowned as the ONE Championship Heavyweight World Champion. LG also presented the Flyweight match between Ana Julaton and Irina Marzepa, with Marzepa emerging as the winner. Prior to the match, LG Electronics and ONE Championship visited Pangarap Foundation in Manila. This foundation provides shelter and care for underprivileged children, as well as livelihood training programs to ensure a self-sufficient future. Pangarap Foundation kids were thrilled to meet MMA legend and ONE Championship Vice President Rich Franklin, who taught them the basics of dodgeball, an American schoolyard classic. After a fun afternoon of play, LG unveiled another surprise for the foundation: a premium Smart TV, with free access to epic ONE Championship matches and thousands of other materials, set up in the facility’s common area. Access to the LG Smart World App Store will greatly contribute to the kids’ recreational and bonding activities. In its second season, the world-renowned International Premier Tennis League (IPTL) is now in Manila for the second stop of the five-nation tennis tour. Once again presented by the country’s most powerful broadband PLDT HOME Fibr, IPTL kicked off Manila festivities with an exclusive tennis clinic conducted by the world tennis superstars for young Filipino athletes and Fibr subscribers. The star-studded mentoring session rolled together intensive warm-ups and exhibition games seasoned with valuable first-rate pointers, honing the skills of the young athletes in an unmatched level. 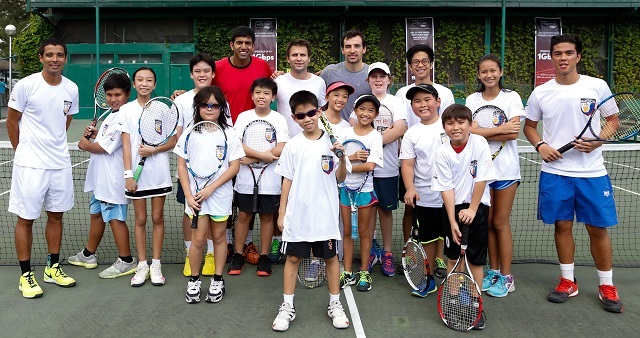 Seen in the photo are (back row, L-R): tennis superstars Rohan Bopanna, Fabrice Santoro and Ivan Dodig. The prestigious UAAP Volleyball Championship is poised to return for its 78th season in 2016, with the Women’s Division to be presented by no less than PLDT HOME Ultera, the Ultra-Fast LTE for a Happy Family. Throughout the women’s tournament, volleyball fans can look forward to witnessing the journeys of PLDT HOME Ultera Family Barkada members and brand ambassadors Alyssa Valdez of the Ateneo Lady Eagles, Mika Reyes and Ara Galang of the DLSU Lady Spikers and Jaja Santiago of the NU Lady Bulldogs as they represent their own universities and battle it out for the grand title. UAAP Women’s Volleyball Season 78 is among the projects highly supported by PLDT HOME Ultera as part of its sports advocacy. In line with its ongoing mission to promote volleyball to young athletes at the grassroots level, PLDT HOME Ultera also presented this year’s Shakey’s V-League Season 12, where their Ultra-Fast Hitters were hailed champions at the recently concluded Reinforced Conference this December. This title earned the team back-to-back crowns following the Open Conference concluded last May. 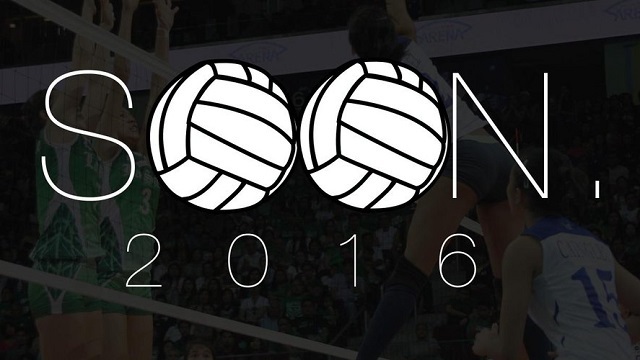 More information about the UAAP Women’s Volleyball Season 78 will be revealed in the Volley Friends Viber Public Chat. For access to real-time updates, behind-the-scenes and fun candid moments among the volleyball superstars, visit chats.viber.com/volleyfriends. Defending MILO Marathon King Rafael Poliquit and MILO Marathon Queen Mary Joy Tabal successfully held on to their crowns in the National Finals of the 39th National MILO Marathon held in Angeles, Pampanga on Sunday, as they beat fierce opposition in the 42K centrepiece event. 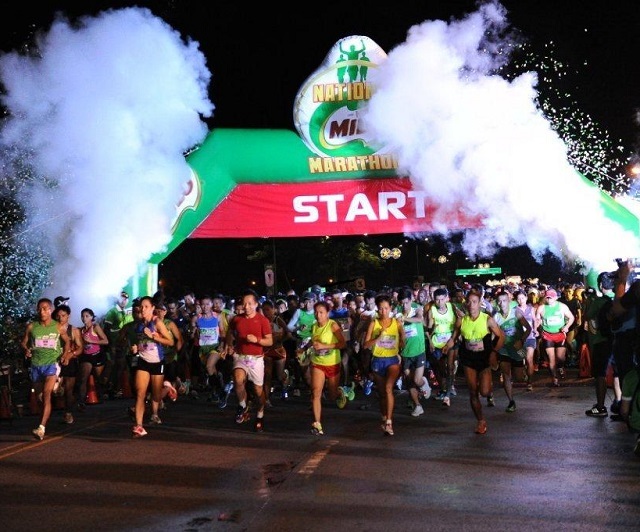 Almost 14,100 happy runners enjoyed the scenic route, and despite the challenge brought about by the rain, the race was very safe and successful. Tabal joins the league of National MILO Marathon female legends who have won three consecutive championships namely: Arsenia Sagaray (1992, 1993, 1994), and Christabel Martes (1999, 2000, 2001), while Poliquit clinched his second consecutive MILO Marathon King title. The champions received PHP 150,000 in cash and a trophy each. Tabal received an additional PHP 250,000 for placing second in the 42K female open category. Both will also be sent by MILO to the USA on all-expense paid trips to represent the Philippines in the prestigious 2016 Boston Marathon, the world's oldest annual marathon. Kenyan runners dominated the 42K open category, with James Tallam (02:20:10) leading the male category, followed by Josphat Kiptanui (02:20:49) and Julius Keprotich Seurei (02:21:54). In the female category, Elizabeth Rumokol (02:43:45) led the ranks, with Mary Joy Tabal (02:48:24) and Margaret Wangui Njuguna (02:49:32) completing the top three. 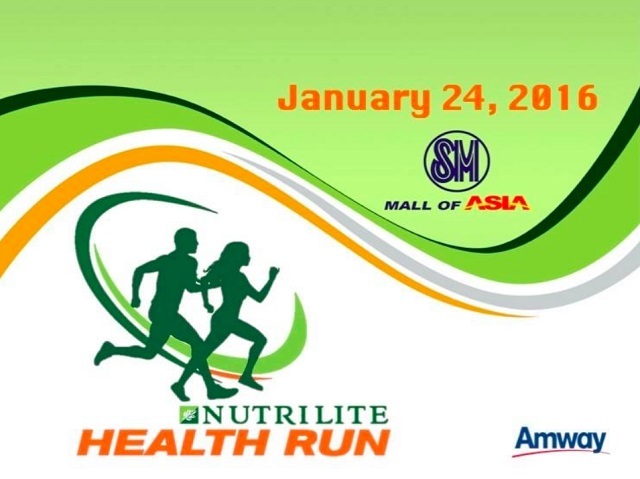 Runners of all ages joined in the 3K, 5K, 10K and 21K divisions, and well-known personalities, including Yayo Aguila, Ara Mina and JC Parker, also joined in the grand finale. Two decades of commitment with the world’s most popular sport, Alaska Milk holds the 20th Alaska Football Cup at the Alabang Country Club in Ayala Alabang Village for a three-day event on November 28 – 30. The biggest football event for young athletes attracted players of all ages, from as young as six years old. They have gathered in one venue to participate in one of the longest-running and most successful grassroots-development programs in the local football scene. “This marks another monumental event for Alaska. We have 410 teams and a total of 6,150 football players together in one venue, all united by their love for football,” shares Wilfred Uytengsu, President and CEO of Alaska Milk Corporation. “It is of great pride to witness how the Alaska Sports Program has engaged young athletes into this kind of culture, and how they live by the values inherent in sports,” he further adds. 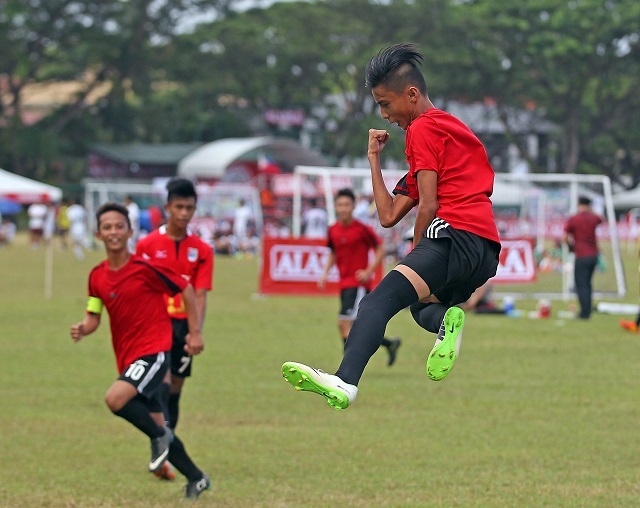 The Alaska Football Cup is one of the highly anticipated annual football tournament for today’s young athletes. The weekend event will be played with more than 800 seven-a-side games, in 29 football fields, and officiated by over 168 game officials. School teams and football clubs from all over the Philippines including Masbate, Baguio, Negros Occidental, Cebu, Davao, Palawan, Legaspi, Laguna, Batangas, Bukidnon, Zambales, Pampanga, Tarlac, Ilocos, Bicol, Romblon, Davao Sur, Compostela Valley, Quezon, Cavite, Albay, Pangasinan, Bacolod, Iloilo, Mindoro and Metro Manila will participate. Alaska Milk encourages sports engagement, as it instills the values of determination, discipline, hard work, team work and sportsmanship during the early stages of a child’s life. Participation in sports like football helps them achieve the “winning form”, which has been Alaska’s goal for children since it launched its first football cup tournament in 1995. Football provides an active alternative for children in place of passive activities such as watching television, surfing the Internet, or spending too much time on social media. The National Nutrition Survey of the Food and Nutrition Research Institute (FNRI) reported that health issues are best addressed by adopting an active lifestyle along with healthy diet, and regular drinking of milk, at least twice daily. Sports tournament like this develops the athletic and social skills of participants through healthy competition among the same age group, while it boosts physical and mental development. Become an inspiring athlete too and join Alaska’s sports programs - NUTRITION. ACTION. CHAMPION. The fastest Filipino and Filipina in the 42K centerpiece event will be crowned the MILO Marathon King and Queen, and will receive a cash prize of a PHP 150,000 each. If the King and Queen also win the open category, they will also be awarded the corresponding cash prize of PHP 300,000. An invisible time barrier is also set for the race, and if the King and Queen are able to break this, an additional PHP 50,000 will be awarded. A whopping total of PHP 500,000 awaits the champions. In addition to the prize money and trophies, this year’s King and Queen will be sent by MILO to the USA on all-expense paid trips, for a chance to run in the prestigious 2016 Boston Marathon, the world's oldest annual marathon. One of the six World Marathon Majors, the Boston Marathon ranks as one of the world's best-known road racing events. 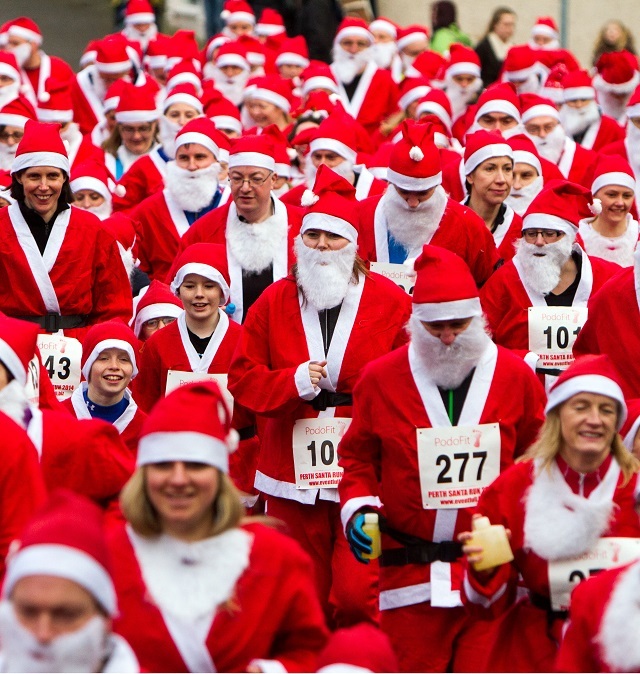 It is considered as the Mecca of all races, where the best of the best runners compete. To further inspire the 42K homegrown runners to push their limits and help champions move forward, local runners who finish amongst the top winners of the open category will also win the prize for the local category corresponding to their respective ranks. Bonus prizes will also be given to the first runner who breaks the 2:15:00 invisible time barrier (Php 100,000), the first male runner who breaks the 2:18:53 men’s course record of 5-time MILO Marathon King Eduardo Buenavista (Php 50,000), and the first female runner who breaks the 2:48:00 women’s course record of back-to-back MILO Marathon Queen Mary Joy Tabal (Php 50,000). Well-known personalities have also booked their slots in the grand finale, including Kim Atienza, Yayo Aguila, Ara Mina and JC Parker. The nation’s best sprinters will be up against each other to win the biggest title. 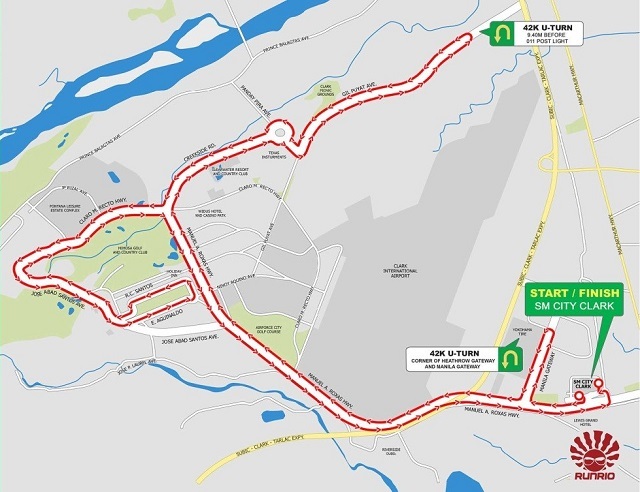 NMM regional winners and qualifiers will also be on their toes, especially elite runners Eduardo Buenavista, Cellie Rose Jaro, Ireneo Raquin, Mary Grace Delos Santos, Julius Sermona, Lany Cardona and Crestabel Martes to compete the full marathon race. Last year’s top foreign runners James Tallam, Josphat Kiptanui and Joel Kiplimo Kemboi are also expected to go full throttle in the open category on Sunday. 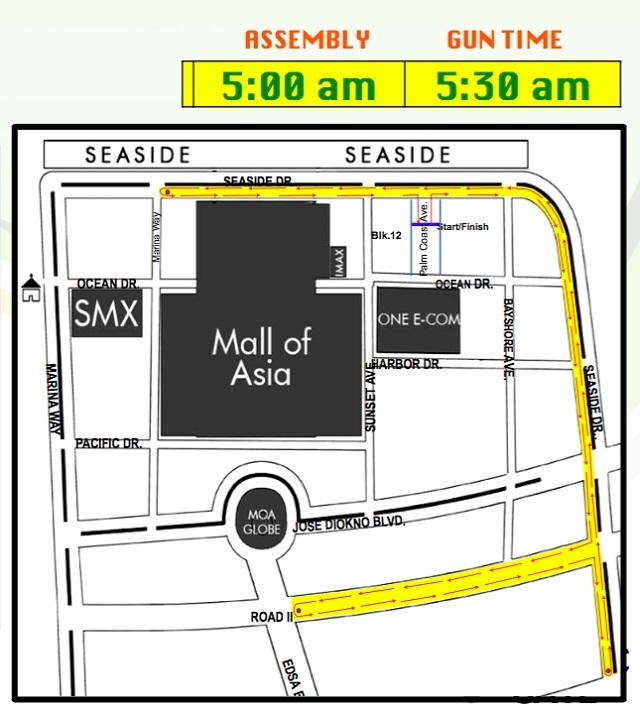 The gun start for participants of the 42K run is at 3:00AM, the 21K run at 4:30AM, 10K run at 5:00AM, 3K run at 5:30AM and 5K run at 5:35AM. 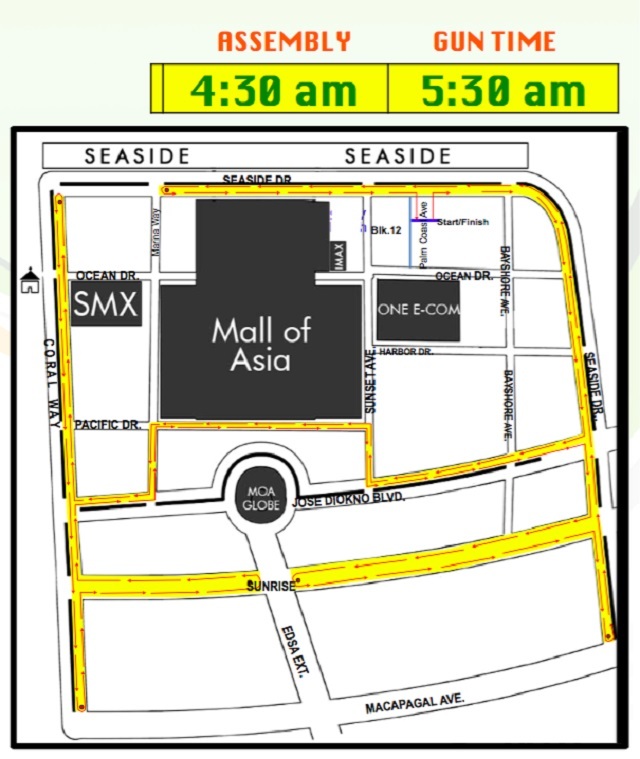 The starting line and finish line will be in SM Clark.